You Are Here: Home > Ken Garff Dodge Service Center Houston > What is Car Detailing? When it comes to cleaning your car, you may be asking, “what is car detailing,” or “how is it different from car washing?” While a car wash is more of a surface level cleaning, car detailing is more thorough and focuses on restoring both the inside and outside of your vehicle. Car detailing also focuses on removing blemishes and scratches. Car detailing can be done on your own or by our highly trained professionals near Clear Lake. Learn more about what car details entails and how to detail a car below! Rigorous Exterior Wash: Use water, a car-safe washing solution, and microfiber cloths to clean the body of your vehicle. Avoid cleaning solutions like household detergents, as they may strip off the wax on your car’s surface. Also, make sure to frequently swap out cleaning cloths, as dirt or sand on dirty cloths may scratch your vehicle’s surface. Once completely clean, dry the vehicle off with clean towels. Clean the Wheels: Using the solution you used to wash the rest of your car or a solution made especially for car tires, clean your vehicle’s wheels. To clean out the dirt from the grooves and hard to reach places, use a small brush. Wax the Exterior: Once the exterior is clean, you have the choice to wax your car. Once finished, wipe off excess wax with a small brush. Carpeting: First, vacuum your carpeting. If you have stains on the carpeting, use a stain remover and brush to remove them. Door Interior: Use a solution made of soap and water to clean the non-carpeted part of your doors and dry them down with a cloth. Then, open your car doors to clean the metal and plastic parts of your door jambs. Windows: Wash the inside of your car mirrors with a window-cleaning solution and dry completely to avoid streaks. Upholstery: After vacuuming the seats, remove any stains with a stain remover and brush. Once you finish cleaning your seats, let them dry with your car doors open to avoid mildew. Steering Wheel Column: Remove dust and stains with a cleaning solution, dry, and apply a surface protectant. Dashboard and Center Console: Use your small tools to clean cracks and tight crevices, then dry completely with a cloth. 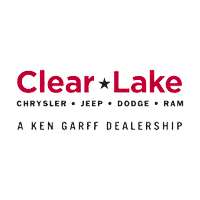 Visit Clear Lake Chrysler Dodge Jeep Ram for an Expert Car Detail! Would you rather have a professional detail your car for you? Ask us about car detailing prices! Or, if you need other repair help, such as with tire rotations, schedule an appointment online or visit Clear Lake Chrysler Dodge Jeep Ram’s service center for an expert help. We’re conveniently located near Houston and Pearland! *Over the counter purchase only. Installation not included. Coupon cannot be combined with other offers. Must present coupon at time of purchase. Other restrictions may apply. See dealer for details.